Decorate for your celebration! 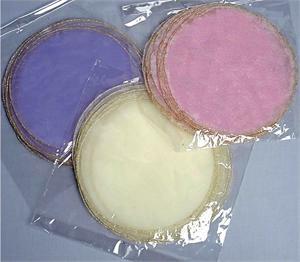 Organza circles are a quick and easy way to create favor bags for your event. Simply place candy in the center, gather the organza circle and tie with the ribbon of your choice. Our organza circles can help you coordinate event colors on tables for a wedding ceremony or wedding reception, prom, homecoming dance, fundraising dinner or any other special event.